such as US tariff increases had not yet been implemented. world’s most connected region, in particular for trade and people flows. 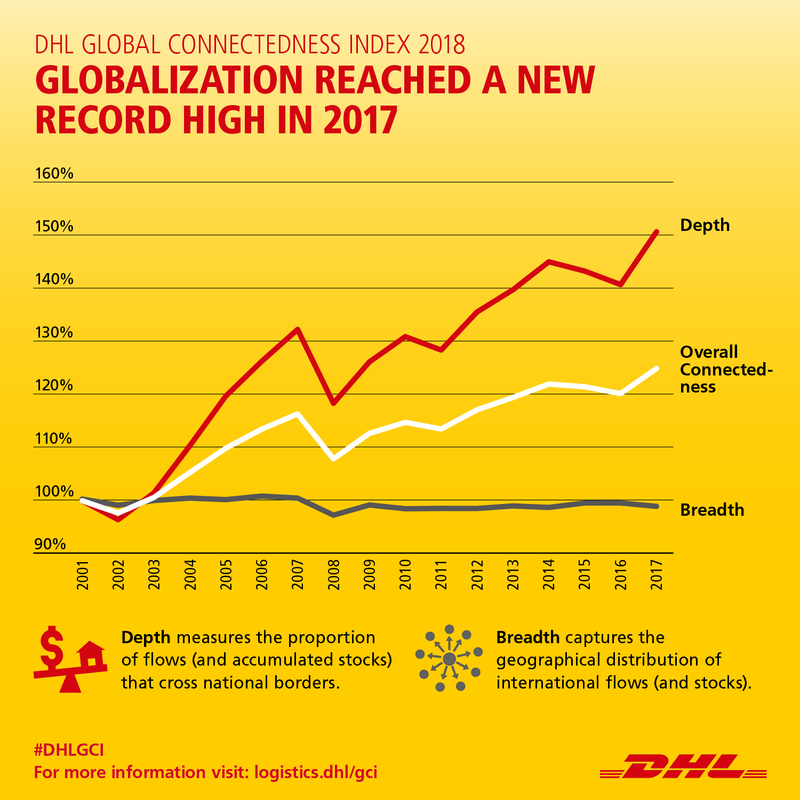 growth and prosperity,” explains John Pearson, CEO of DHL Express. up in terms of global connectedness has stalled. connectedness can help accelerate countries’ economic growth. the world’s GDP and 97% of its population. The report and additional background information can be downloaded at www.logistics.dhl/gci. road, air and ocean transport to industrial supply chain management. more than 60 billion euros in 2017.